Degreeing your camshaft is one of those things that seems to intimidate a lot of novice and even some intermediate-level engine enthusiasts. 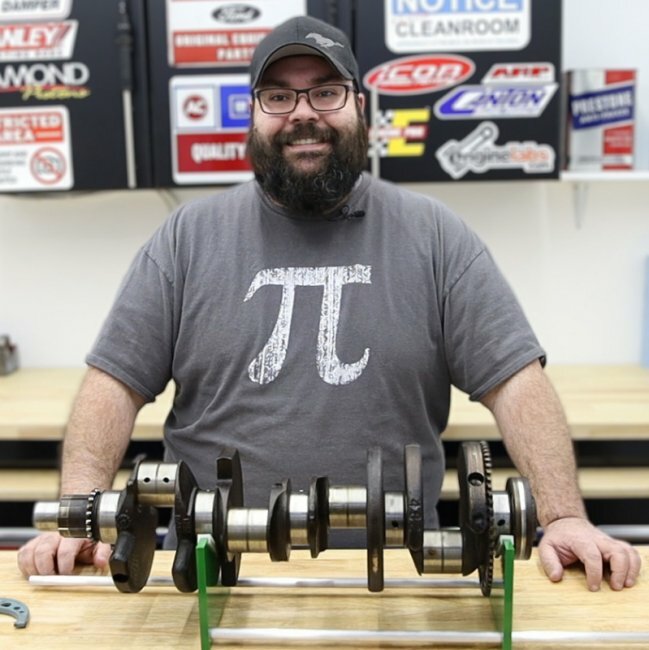 The fact in, degreeing your camshaft with doesn’t really require any serious investment in specialty tools, doesn’t take much additional effort once you’ve installed your camshaft, and at the bare minimum provides peace of mind that your new camshaft is right where it’s supposed to be. In order to properly explain how to degree your camshaft, we headed down to Crower in San Diego, California. 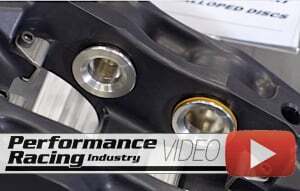 Crower, founded by Bruce Crower over 50 years ago, has an abundance of experience when it comes to the subject of camshafts and valvetrain theory and components. As mentioned in the opener, the idea that you need a drawer full of super-specialized tools to degree a camshaft in the engine is false. While it is true that you can spend serious money on some really fancy equipment, you can get the basics needed for under a hundred bucks. There aren’t really any super special tools needed to degree a cam. A complete usable setup can be had for under a hundred bucks. As the old theory states, “garbage in, gabage out,” meaning your results are only going to be as precise as the data entered. In order to get the best data possible for this process, a little care needs to be taken when initially “dialing in” the degree wheel. What you are doing is ensuring that the timing pointer and the markings on the wheel have as accurate a relationship as possible, so that all your subsequent measurements and readings are true. “The first step is to find top dead center and make sure our timing pointer – made from a bent coathanger in this case – is set to zero,” explains Pulido. Timing pointers don’t need to be anything fancy. While there are some fancy, complex versions on the market, made from billet aluminum with articulated joints and magnifying lenses on the pointer tip, anything that is bendable but rigid will get the job done. As you can see, the coathanger makes for a sturdy, easy to read pointer. Here you can easily read the 12 degrees ATDC measurement while zeroing the wheel initially. Because this is setting the basis for all of your future measurements, getting this right is critical, and special care should be taken on this step. “If you mess up or overshoot your target, just back up and bring it back in,” comments Pulido. He also notes that you should always arrive at your number by rotating the engine in its natural direction of travel. Before starting you need to set your dial indicator at a rough zero by passing through TDC several times, and resetting the zero mark of your indicator at the peak lift point. 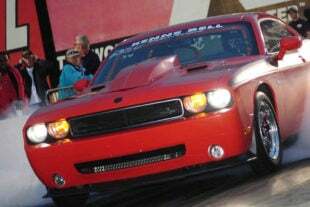 “For the first reading, we have 12 degrees before top dead center,” Pulido says as he rotates the engine to a .050-inch reading on the dial indicator. Once you record that number, continue to rotate the engine through top dead center until the dial indicator drops back to .050-inch indicated in the bore. “You’ll notice that as the dial indicator hits zero, it stays there for a few degrees of rotation before coming back down,” says Pulido, pointing out the piston dwell at TDC and why just zeroing on the peak could induce error. “As the needle returns to .050, our pointer shows 12 degrees after top dead center. That tells us the degree wheel and pointer are properly aligned,” says Pulido. Once you’ve gotten a solid zero on the degree wheel, you’re ready to start degreeing the cam. Without a solid zero, you’re just guessing at everything else. When degreeing the cam, you need a reliable way of measuring the cam lobe lift, whether its a solid lifter or a checking lifter. That number is 62.5 degrees in this particular case. Write that down. “Next, we’ll rotate the crank through the peak of the cam lobe lift and back down to an indicated .050 inch,” says Pulido. On this cam, that next reading is 147.5 degrees on the degree wheel. Write that down. Here you can see the two readings on the degree wheel at .050-inch before peak intake lobe lift, and .050-inch after peak lobe lift. Pulido calls these out as 62.5 degrees and 147.5 degrees. What If It’s Not Right? Everyone knows that in the magazine world, everything fits and lines up perfectly on the first shot. But what do you do if you’ve degreed your cam, and it’s off by a degree or two one direction or the other? There are actually several different ways to get your timing back. “If you’re in a claimer-style class where you have to run a stock timing set as opposed to an adjustable, you can drill out the stock mounting holes, and Crower sells precision machined replacement buttons, which allow you alter your timing slightly to bring your timing back into spec,” explains Pulido. 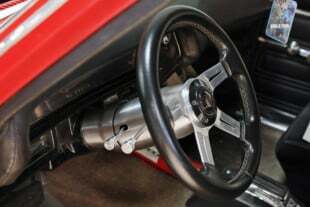 However, since most of us putting together an engine aren’t restricted to the OEM timing set, an adjustable timing set would be the way to go. When it comes to adjustability, you don’t need to spend a fortune to get adjustability. There are a number of three- and nine-way adjustable timing sets on the market, or Pulido’s recommendation, the Hex-A-Just. “We sell the Hex-A-Just timing gear that will allow you to dial in your adjustment without breaking down the timing set, right on the engine,” Pulido says. Adding the two degree wheel readings together, and then dividing by two will give you your actual intake lobe centerline measurement. Compare that to what your cam card calls for, to figure out what needs to happen next. Now you might be wondering why your camshaft would be off, when you followed the directions and lined up the dots just right. “Degreeing a cam doesn’t mean lining up the dots. That just gets you close,” says Pulido. “On this engine, we lined up the dots, and we got lucky, but a lot of times, lining up the dots just gets you to within a few degrees. In manufacturing there is a thing called stacking of tolerances. If there’s a little bit of slop in your keyway machining, and the chain is slightly off, or the holes in the timing set aren’t exactly perfectly drilled, there could be some misalignment.” Pulido explains. The peace of mind knowing that your intake and exhaust events are happening exactly as the camshaft was designed, ensures that the engine you are putting the time and effort into assembling will perform at its best. 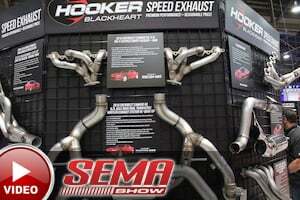 “It’s imperative that you check the camshaft when you install it. These things are just air pumps, if you get the right amount of air in at the right time, you’re going to make maximum horsepower,” Pulido concludes.